Spring has sprung and more people are enjoying the sunshine by spending longer in their yards. BBQs are rolled out and parties planned. The season of family-fun and friendly get-togethers are merely starting up. This is a great time for you to be sure that your outdoor space is as lovely and efficient as you wish it to be. In this post, read about the hardscape and how it can improve both the efficiency and appearance of your outdoor room. What is hardscape? And how will it improve your yard? Two very valid questions. Hardscape or “hardscaping” is a part of landscaping. Instead of referring to the growing components of the yard, hardscape refers back to the inanimate components of landscaping. These 4 elements may be decks and patios; fences and walls; paving stones and concrete; even a pool or spa belongs to the hardscape. Partly, it’s because the nature of the materials utilized to construct these items. Yet, it’s also due to the fact that preparation of the ground to ensure proper drainage is so important. Stone walls, paved walkways, tiled paths, wooden decks and patios are all considered to be part of the hardscape. 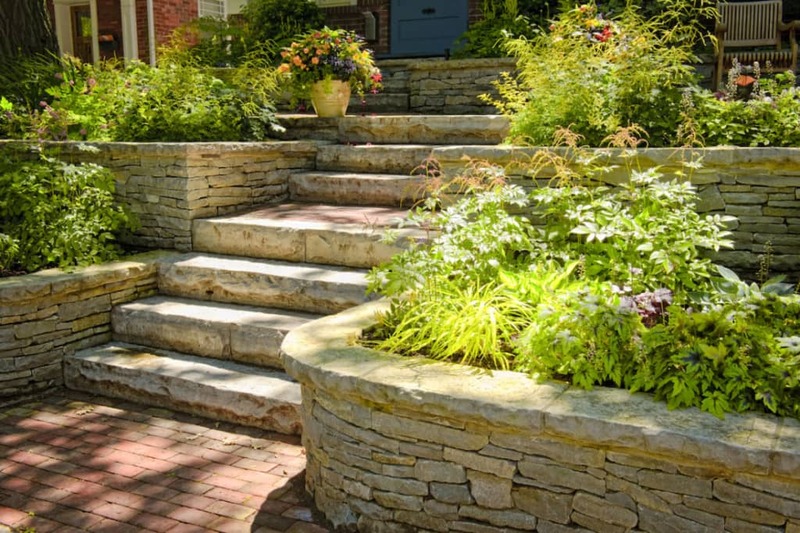 In fact any elements utilized in landscaping that isn’t a part of the softscape (including plants, trees and flowers) all can be regarded to be hardscape components. With this description garden decorations like water fountains may also be regarded as hardscape. One advantage of having hardscape design in your home would be to improve its property value in case you opt to sell it later on. Besides this, since hardscape features aren’t living things, they don’t require the same degree of attention and care which a common lawn or garden would. This will make this specific subcategory of landscaping an ideal solution for owners who do not have the time or energy to devote to their lawn, especially if they live in dry or arid regions. It is also important to examine exactly how hardscaping features may impact the overall flow of drainage in your yard. You need to very carefully plan each feature in order that it helps direct water from the home, instead of towards it. Ideally, hardscape features ought to work to the advantage of your plants, directing water flow toward those that require the most amount of water and away from plants that require better drainage. If done properly, a landscape that includes hardscaping aspects could be both beautiful and functional.